The SRS air bag warning light " " on the instrument panel will illuminate for about 6 seconds after the ignition switch is turned to the ON position, after which the SRS air bag warning light " " should go out. 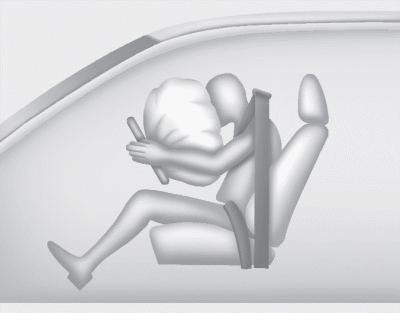 Do not install or place any accessories (drink holder, CD or discs holder, sticker, etc.) 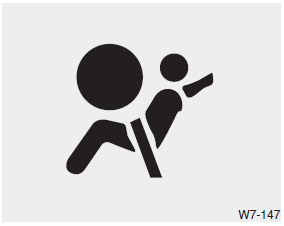 on the front passenger's panel above the glove box in a vehicle with a passenger's air bag. 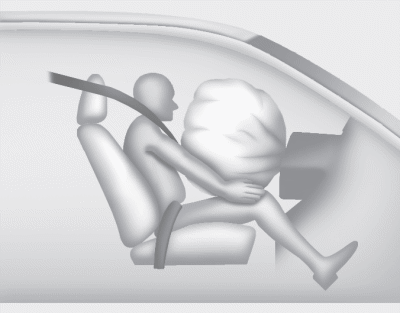 Such objects may become dangerous projectiles and cause injury if the passenger's air bag inflates. 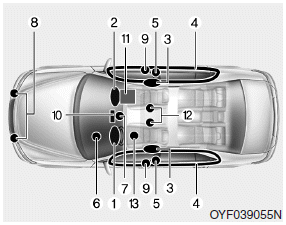 The SRS can function only when the ignition switch is in the ON position. If the SRS air bag warning light " " does not illuminate, or continuously remains on after illuminating for about 6 seconds when the ignition switch is turned to the ON position, or after the engine is started, comes on while driving, the SRS is not working properly. If this occurs, have your vehicle immediately inspected by an authorized HYUNDAI dealer.